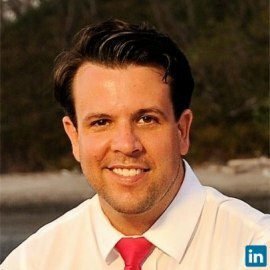 Jason Dispenza has over 15 years' experience in energy efficiency and finance and construction, serving in sales and executive positions, and, since 2006, as the CEO of an energy services company, EDGE Energy, which is based near Washington DC and employs roughly 50 people across five states. In 2014, he founded E2F2.us, a 501(c)3 nonprofit, focused on restoring data rights to citizens and helping the Dept of Energy understand the needs of the the Green Building and Solar industries' respective credit markets and the possible interoperability enhancements from using a federated blockchain zone that could unite the SREC market with other markets like healthcare and insurance more intimately through new types of credits computed from real world data. E2F2.us envisions a future where the proliferation of carbon farming technologies and/or human processes aimed at reversing climate change is made more effective with interoperable software like blockchains might provide. This work lead Jason to start SOLES.io in May of 2016. At SOLES.io, they are exploring crypto-coin offerings which are tied to the existing energy credit markets and namely SRECs. Also, they have completed blockchain demonstrations for clients in the energy efficiency, health, education, and automotive industries, with an ultimate aim of releasing a blockchain inter-operability platform for crowd-funded social initiatives and credits in 2017.